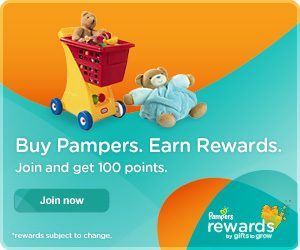 Pampers Gifts to Grow: 15 More Points! You are here: Home / FREEbies / Pampers Gifts to Grow: 15 More Points! Woo hoo! Pampers has 15 new Pampers Gifts To Grow points for us! Just head over here and enter codes TWT7CYBR57MDY14 and 67CYBR57MDY2014 to get your points!